We are now looking at stink bugs in soybeans. 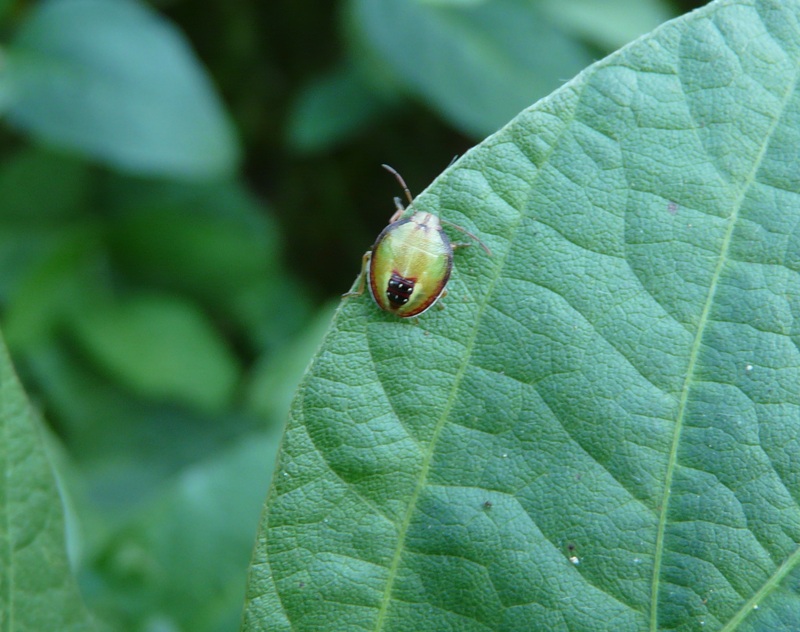 I’m seeing green and southern green, but brown stinkbugs can also be an issue. There are two thresholds we distinguish: Early and late reproductive growth stage. The best way to check is take a sweep net and sweep 25 times. I’m seeing lots of immature stink bugs. Here is a Redbanded stink bug Dr. Roberts helped me identify. These are seen here but mostly a problem in Louisiana and Mid-South states. Bloom to Mid Pod-Fill: 3 stink bugs in 25 sweeps OR 0.33 stink bugs per 1 foot row. After Mid Pod-Fill: 6 stink bugs in 25 sweeps OR 1 stink bug per 1 foot row. 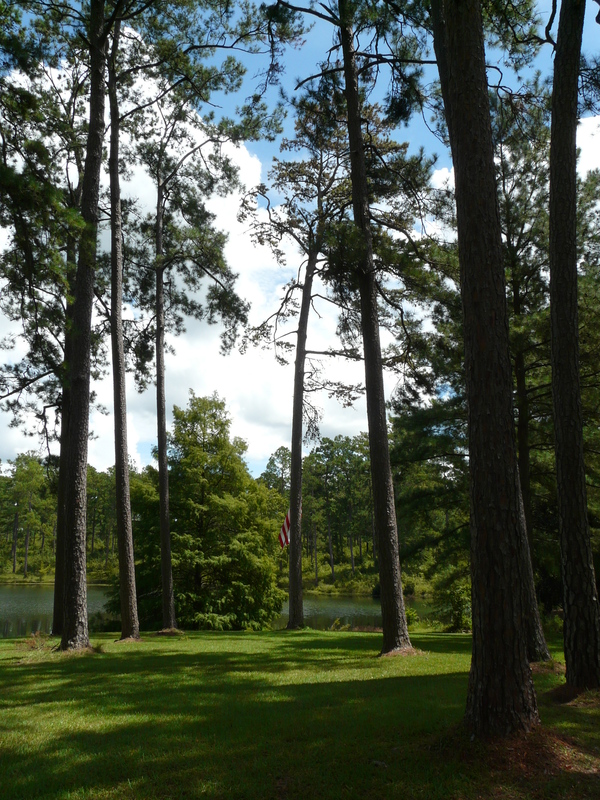 Here are some loblolly and shortleaf pines at a plantation house. We went to check trees since many have died over the past few years. Many of these trees are very old and UGA Extension Forestry Specialist Dr. David Moorhead says these pines do have a number of years where they reach and start dying. We’ve also had dry seasons (’10 & “11) followed by rain seasons (’12 – ’14) that are impacted hardwood trees and may be causing issues in pines also. Only one tree in this stand was actually declining at this time. The needles were starting to turn red in the crown (tree leaning). At the base of this shortleaf is a foam substance with small insects around. The foam sort of disappears as you touch it. 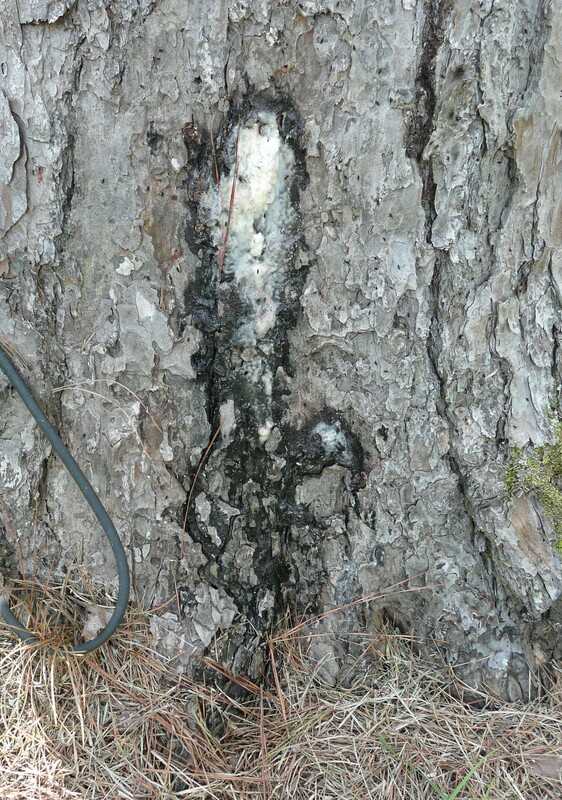 It is the result of slime flux or bacterial wetwood. This is something more common on hardwoods but can also impact pines. It is a bacterial that infects when the tree is under some sort of stress. The foam sometimes has a nasty odor. This shortleaf is well over 100 years old too. Slime Flux and Wetwood has more information on this publication. 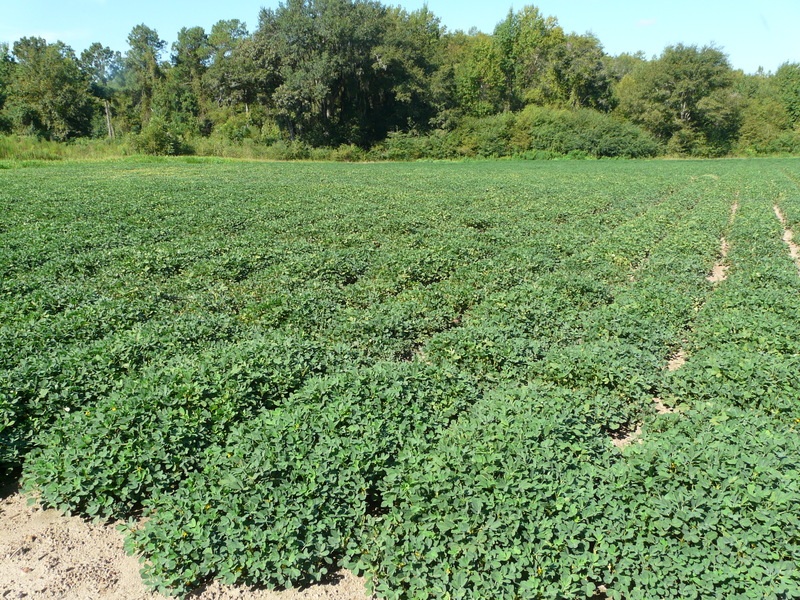 WHITE MOLD ON PEANUTS has been EXTREME this year for many growers because of prolonged, very warm temperatures and, at times, adequate rainfall. 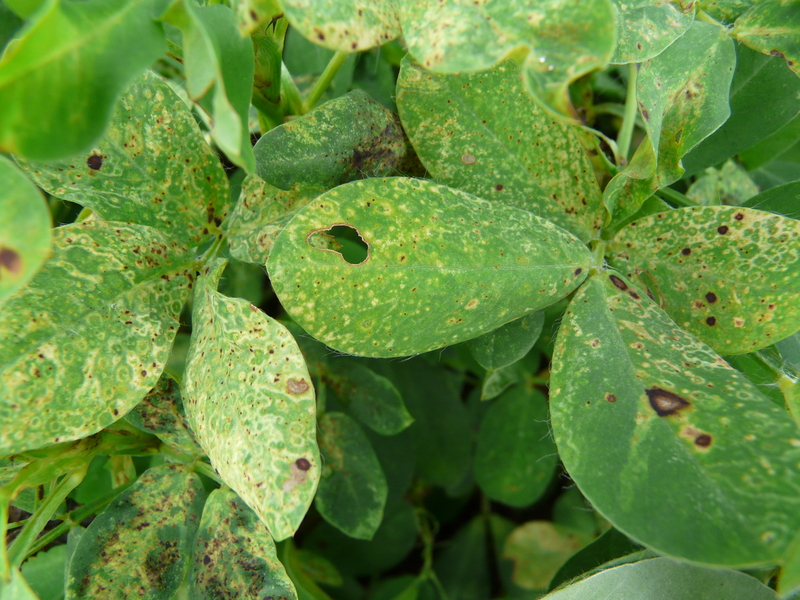 NO PROGRAM will stop all white mold, BUT your program should be able to CONTAIN “hits” of white mold to a few plants and not to long streaks in the field. 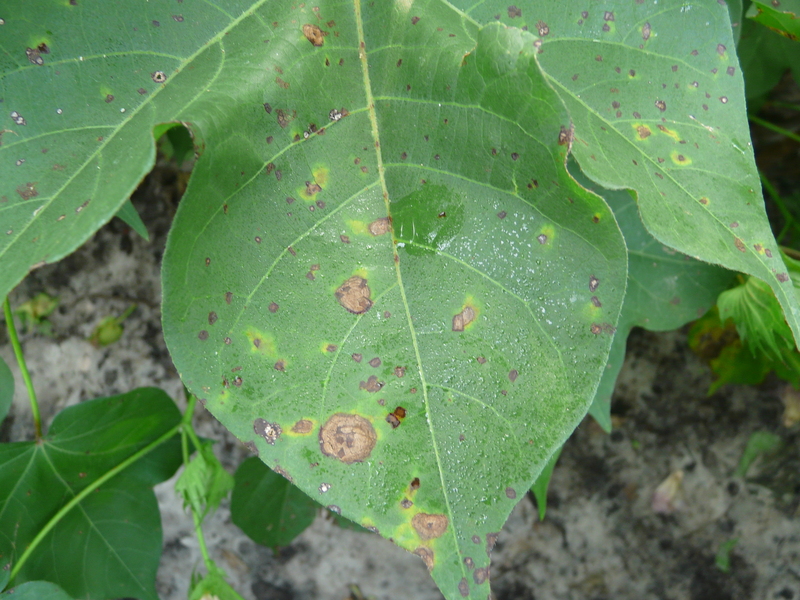 Angular leaf spot and bacterial blight of cotton have been unusually common this year, though largely confined to SW Georgia. I am now receiving reports of some findings east of I-75. Target spot of cotton is now developing, quickly in some areas. Cotton beyond the 6th week of bloom is likely safe. NOTE: If you know of fields with target spot, please let me know as I need to collect isolates. 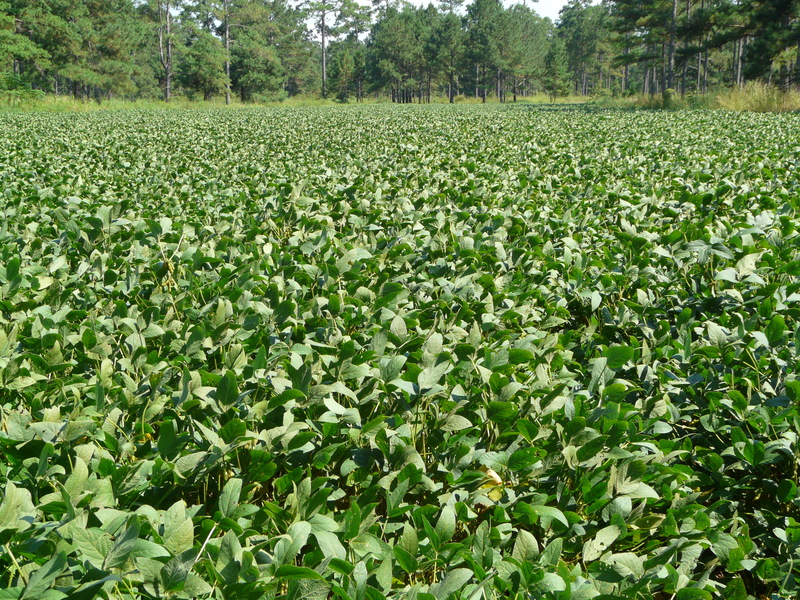 Still no Asian soybean rust found in Georgia, though I expect it at any time. 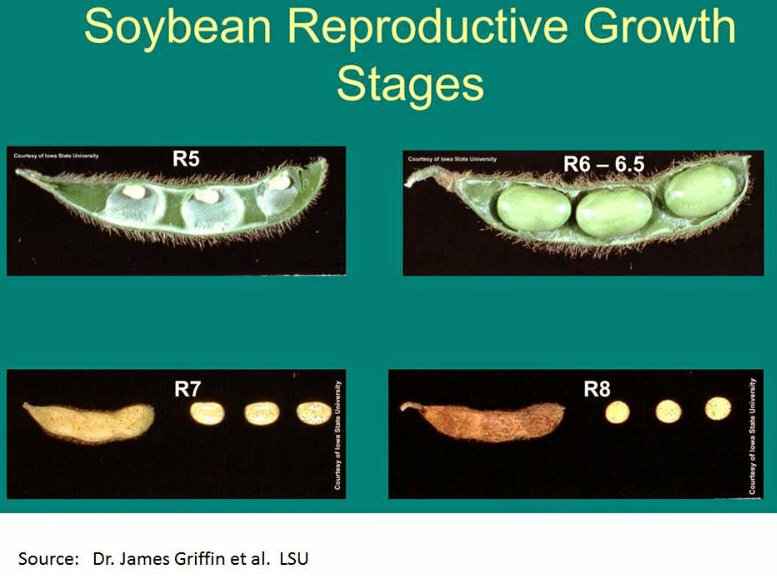 Any of our soybean crop that has not reached R6/full seed growth stage is still vulnerable if the diseases arrives. Further notes on white mold: A) Growers should consider prolonging their white mold programs, perhaps adding mixes of tebuconazole and chlorothalonil at the end. B) The labeled rate of tebuconazole is 7.2 fl oz/A (not a pint) C) GOOD NEWS! Cooler morning temperatures forecast this week (mid 60s in Tifton) coupled with a drier air mass should help to SLOW the development of white mold. D) Dryland fields may have less-than-desired white mold control IF rains have not been timely to more fungicides to the crown of the plant. This is NOT the fault of the fungicide. 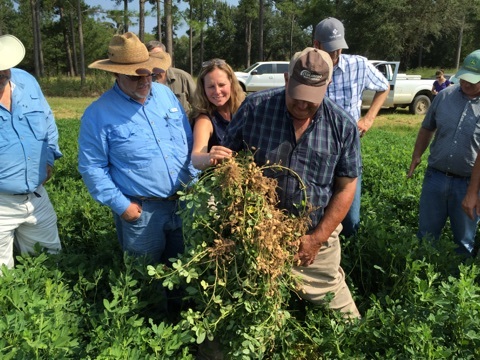 Tomato Spotted Wilt: “Honey, I’m baaaaaaaaaak…….” .. For the third year in a row, we are seeing an increase in Spotted wilt disease. We will discuss this more at (grower meetings). 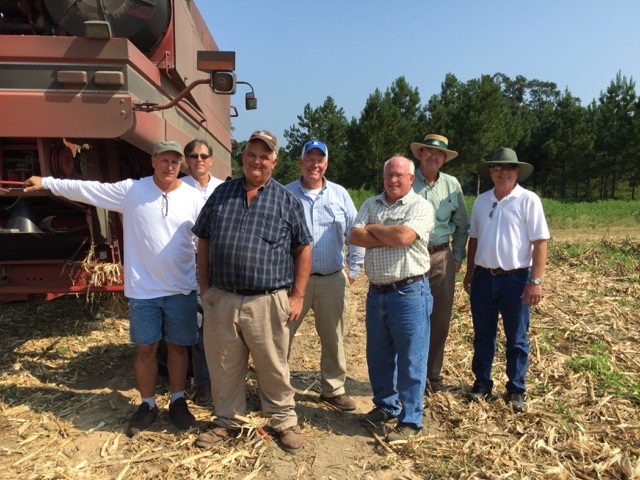 Dr. Culbreath and I visited a field last week in Evans County where the incidence of TSWV was ~65%. I’ve been hearing reports of aphids and some mites for a while now. I was in this orchard last week when I saw the bright yellow spots inside the veins of the leaves. Yellow aphids may be present in orchards throughout the season, but populations are usually higher in April, May and then again in August. August is a critical month for pecan development as the trees are inducing their female flowers. UGA Extension Horticulturalist Dr. Lenny Wells says while flower induction is driven primarily by the effect of crop load on the tree, additional stresses like drought, insects, disease, sunlight, etc. 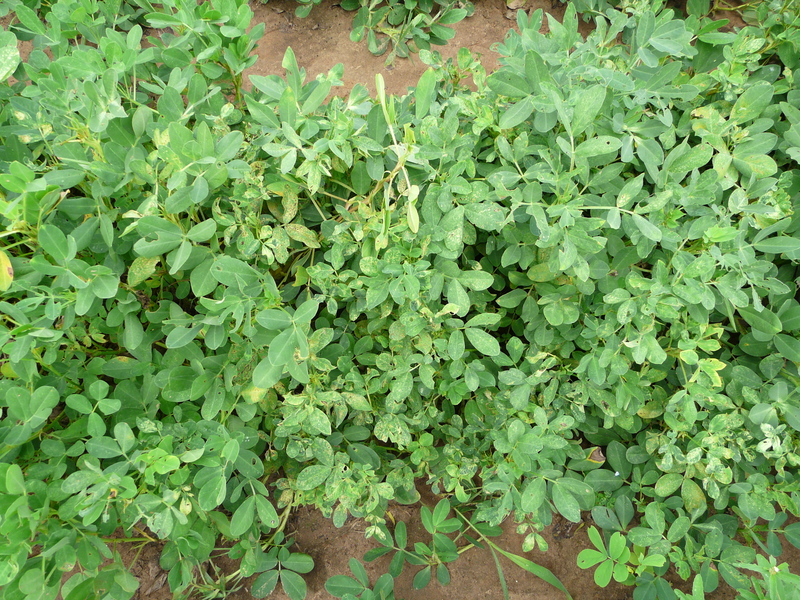 in August can significantly reduce the following year’s crop. In early season, we can rely on beneficials to suppress populations. Once we move to late summer, we need to be scouting for aphids. Below is a picture of two yellow aphids I saw under these leaves. 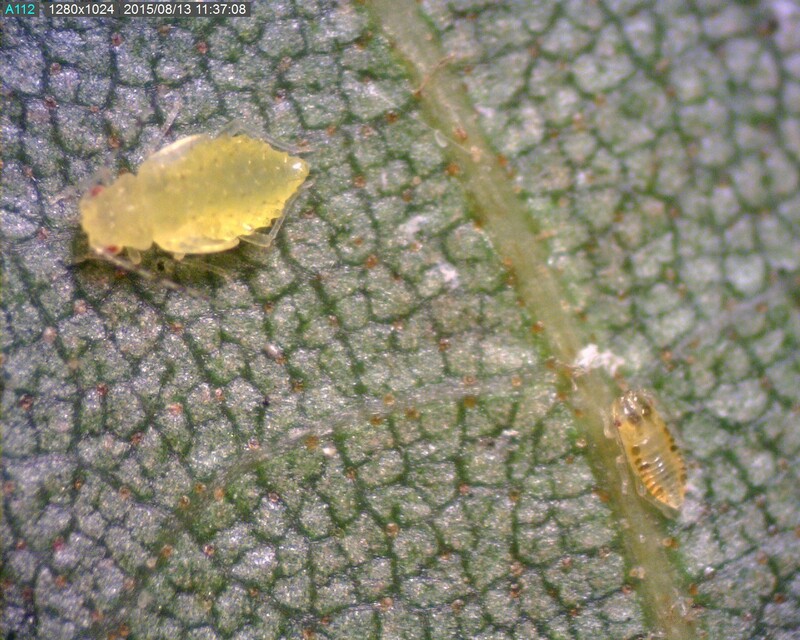 These are different immature stages of the yellow aphid. The larger aphid is the last instar. The other is younger. Last night at the Young Farmer’s Meeting I got reports of spider mites around Pavo. We went out this morning and confirmed real small spots with active spider mites. The spots were very small and recent rains may have helped keep them down. With a couple of small hits, we were going to watch these areas since we still have 20 – 50 days to go. However, in another field, we caught a much larger area newly infested with two-spotted spider mite. You can see some of the yellowing or stippling in the photo above. These are new, active infestations. 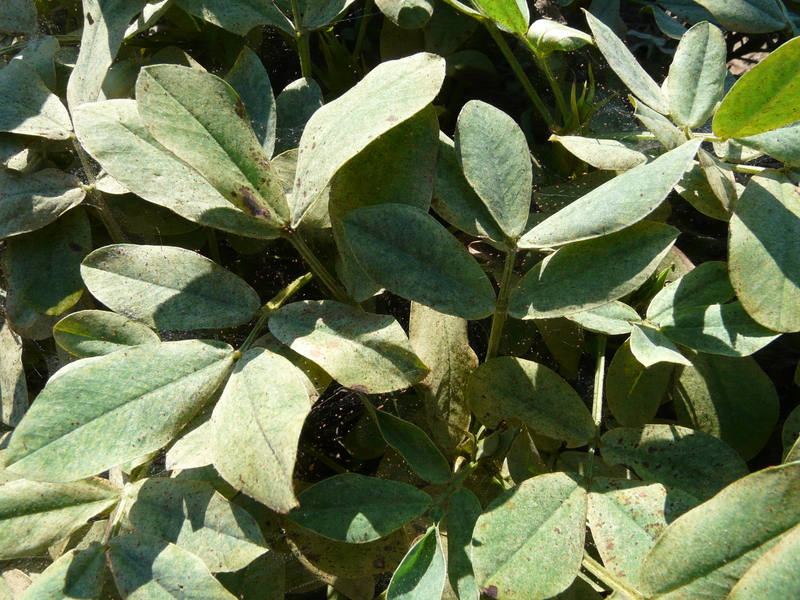 We also saw the typical symptoms where the spider mites damage on the edge and kill the plants then spread out. The early hits appears yellowish from the road as if manganese deficiency. Once you walk out, its easy to see the spider mites’ webbing. Here’s Charles McMinn finding the initial hit. Here is an up close of the webbing. 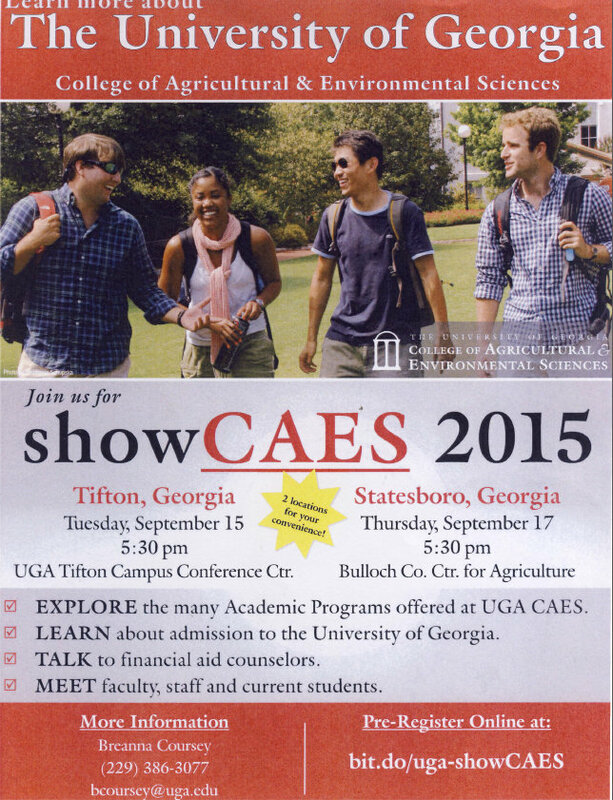 Although bifintherin has spider mites on its label, UGA does not recommend spraying ANY pyrethroid. We will see a short term kill, but they will come back once beneficial population is knocked out. UGA Extension Entomologist Dr. Mark Abney says we are better off not to spray anything than use a pyrethroid for spider mites. We need to use a miticide for treatment, such as Comite or Omite. Keep in mind that the miticide has to contact the spider mites. The Comite label will say to use 20 gal of water / acre with ground equipment. Also, we are not going to kill eggs, so these fields need to be checked 10 days or so after treatment. 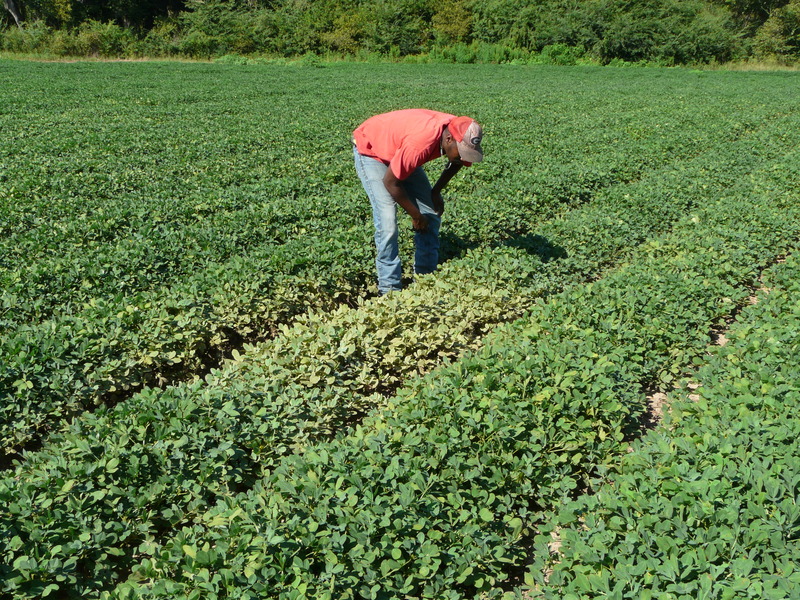 With less rain expected this coming week, we need to watch for spider mites. With dry weather, they are going to be an issue. We have enough time for peanuts to go for them to cause a problem. Make sure you scout fields.